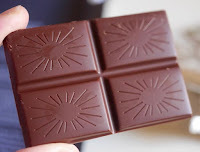 Welcome to Day #13 of Chocolate and Africa Theme Weeks. We've been taking a virtual trip, from east to west, across this large continent. Yesterday we were in Uganda, and today, we are in the Congo. This organic milk chocolate bar was—in contrast to yesterday's ultra-dark 80% Uganda bar—fruity, light, sweet, and almost "fluffy." 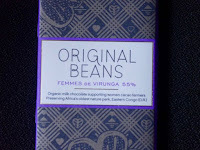 It was a very tasty, creamy milk chocolate bar. 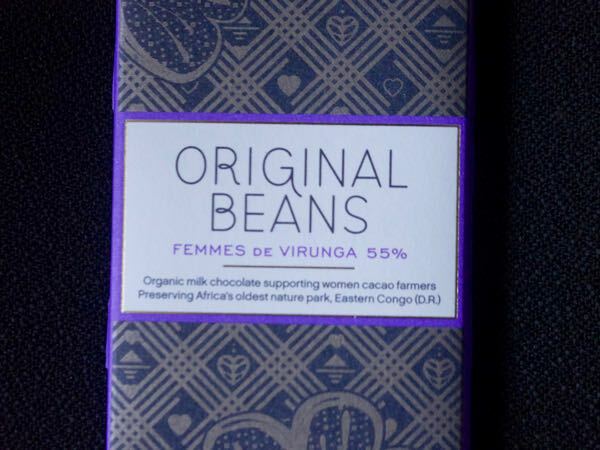 The mission of the makers at Original Beans was not only to produce a fine, organic milk chocolate bar, but also to support women cacao farmers and to preserve "Africa's oldest nature park, Eastern Congo (D.R.)." 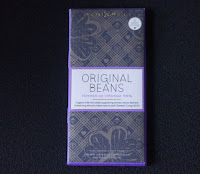 *Original Beans is based in Amsterdam, and this bar was made in Switzerland.